"There is no better way for kids to learn the Word of God"
There’s no better way for kids to learn the Word of God! 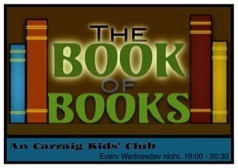 7-8:30pm each Wednesday we have a FREE exciting programme - Kids Bible Club (for ages 4-12). Kelly Hamilton does a brilliant job combining fun and learning, as she brings to life the stories from the Bible, during this fun filled time. *If you would like your child to participate in this exciting opportunity, they simply need to have a parent/guardian with them, attending An Carraig Bible Study. Children workers are limited, because of this reason the club is reserved specifically for the children of a parent/guardian who is attending the adult study. Sorry for the inconvenience. An exciting story directly from the Bible. A welcoming group of children. Game nights on the first Wednesday of each month. Each week the children are learning about a new book of the Bible, starting with Genesis and ending in Revelation. 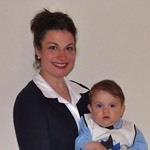 Kelly is a mother of three boys, and she has worked well over 15 years leading in children's Bible ministries all over the US, in Cork, and in Dublin. She has now brought her aptitude for teaching the Bible to Limerick city. You’re children won't want to miss a week!